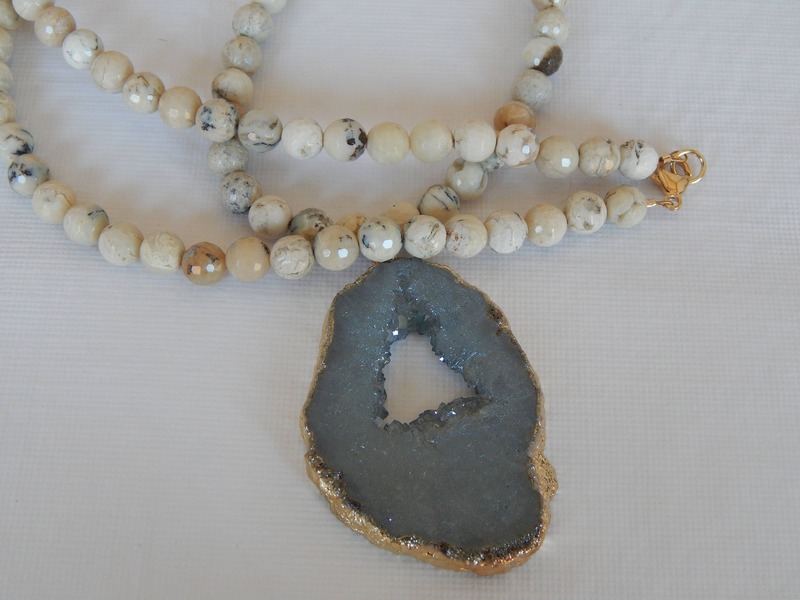 African opal necklace with a titanium gray druzy pendant. 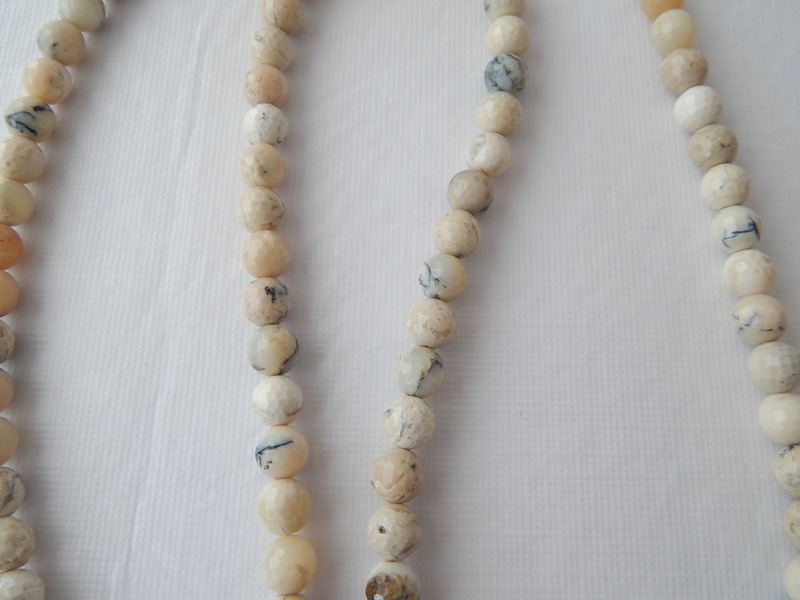 The neutral colors are perfect for the anytime of the year and can be worn alone or layered with others from my shop. 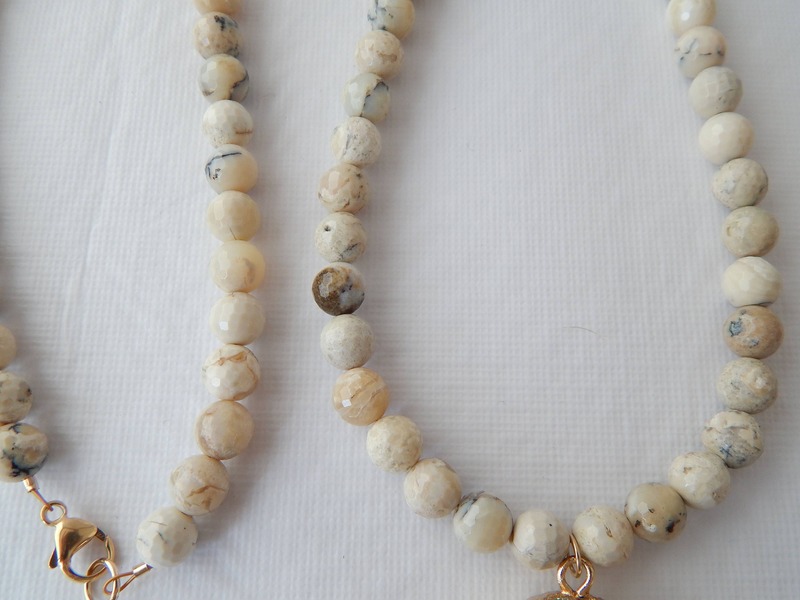 Necklace length is 32 inches long and closes with a 14kt gold filled lobster claw clasp. 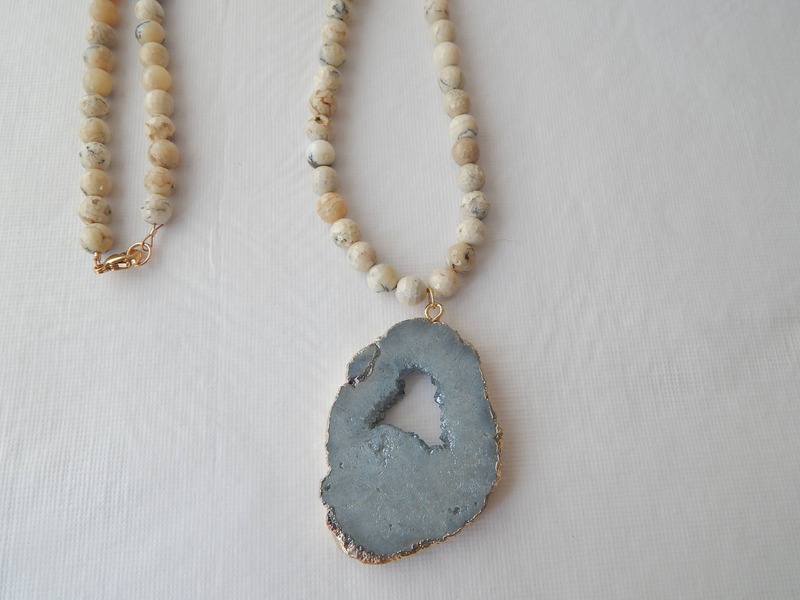 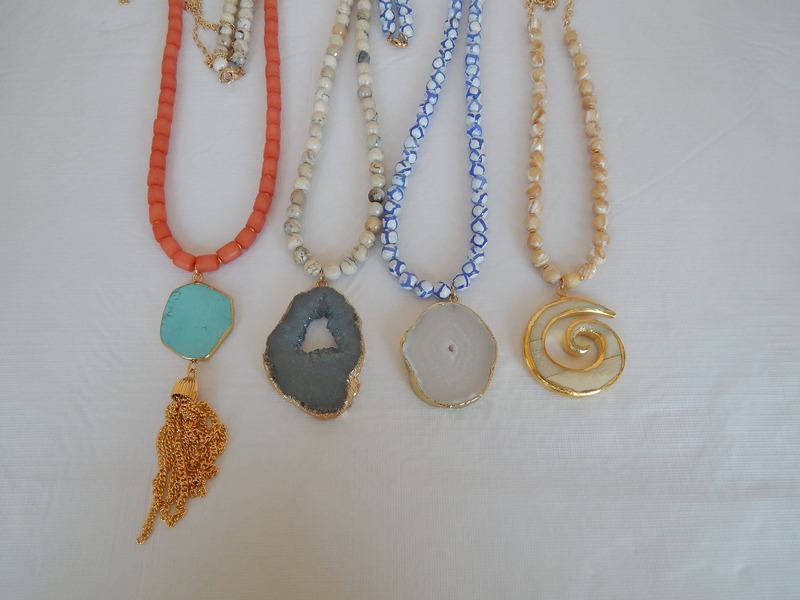 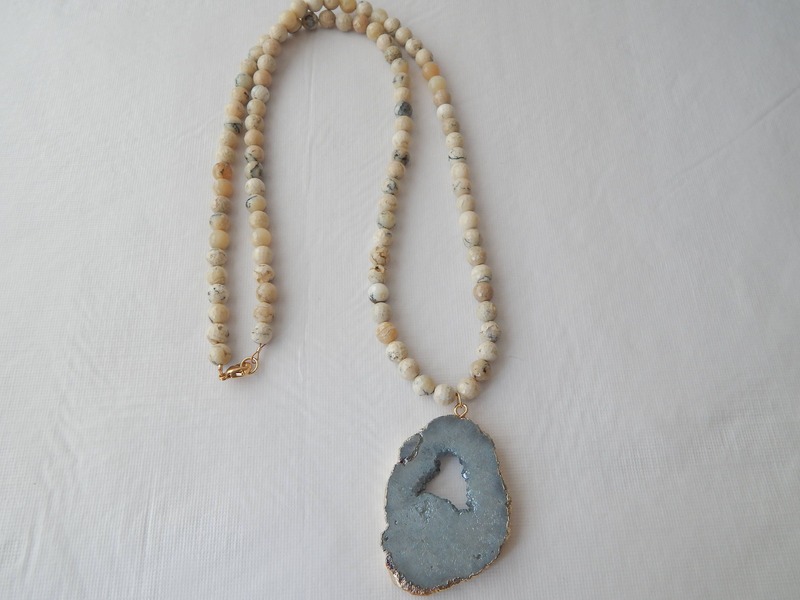 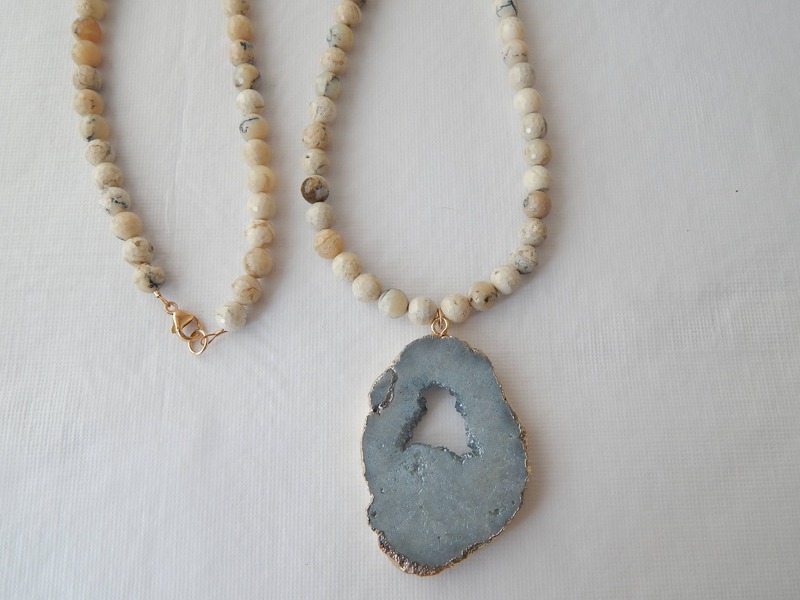 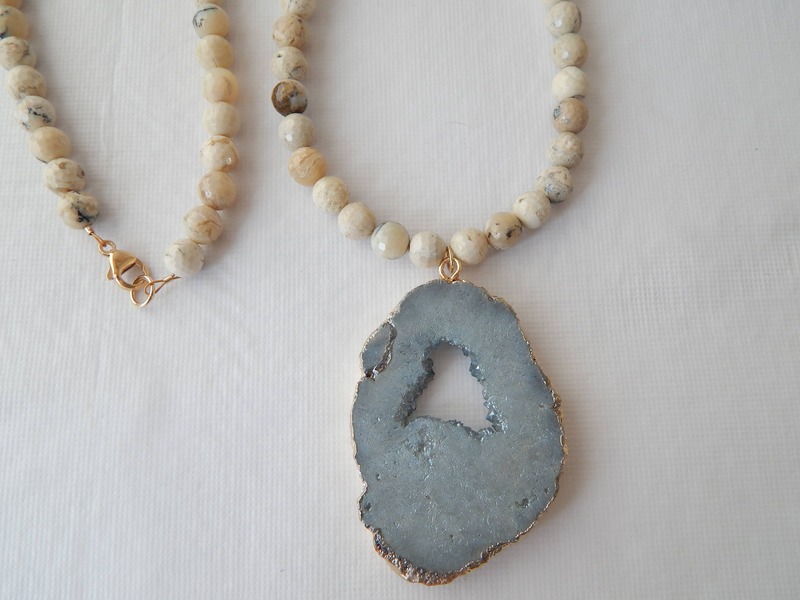 Druzy pendant will vary with each necklace.